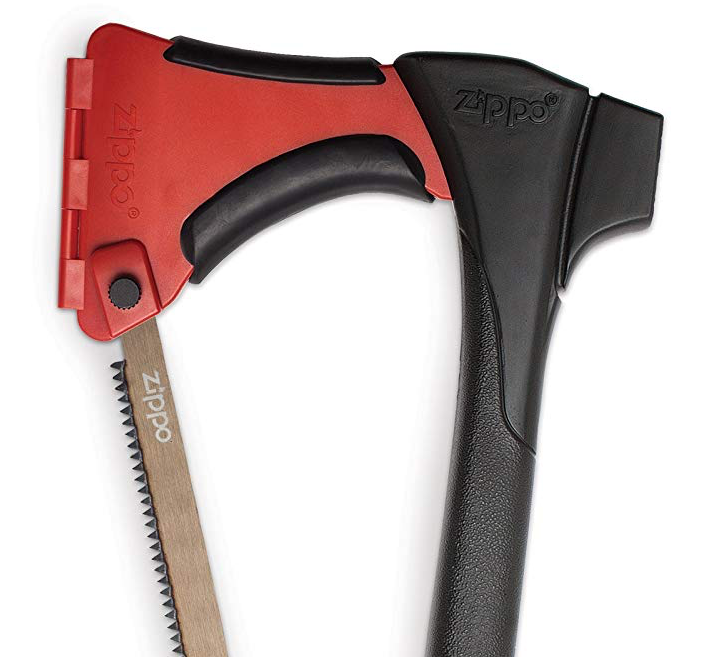 I keep this Zippo Axe/Saw/Mallet in my camper van. It comes in really handy. Aside from the occasional "Why do you have an axe?" question I get from passengers, there is nothing funny about my Zippo Axe. This tool has chopped firewood, sawed through 2x4s, and pounded stakes into the ground. The handle holds several saw blades. The head is plenty heavy for both chopping and using the reverse side as a mallet. The mallet head is rubberized and I've found that using it with a towel or piece of cardboard has let me hammer on stuff without denting or leaving marks. The "safety sheath" lets the axe move around freely in the cabin without damaging anything. If the zombie apocalypse comes while I'm camping, I have my $60 weapon.